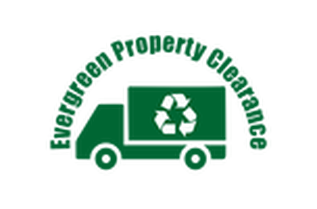 Where ever possible we endeavour to recycle as many of your items and as much of your waste as we can. We use local recycling centres to dispose of your rubbish and we donate anything that still has a useful life to local charity shops. If you have a preference as to which charities receive your unwanted items then simply inform our team and thye will be happy to carry out your wishes. As a company your satisfaction is of upmost importance to us because we would like to be the number one place that you come when you have a problem removing items or rubbish. ​As such our team will treat your work with the upmost importance and respect to guarantee you satisfaction and a job completed to an A1 standard. Some may think that our work can be carried out by just anyone but as we find time and time again some companies will let you the customer down. We take pride in our work and enjoy what we do and we believe that our service is second to none and we want you to experience that. Evergreen House Clearance offer a 48 hr turnaround surety on all your work. We will provide you with a team of professional, polite, uniformed House clearance specialists who will provide you with a rapid and efficient service whether your property is an empty rental apartment, your own home or the house of a deceased relative. We are fully licensed for all your work.